From Britain’s fave vlogger, Zoella – the top-selling debut novel of all time! Love, laugh and post it all up online for the entire world to read. That’s how Penny rolls. Penny Porter has two lives. Her secret online blog, where she tells all. And her real life, where she keeps her true feelings hidden. Yup – she’s keeping it real online, and keeping it unreal in reality. Online, she can be straight up about school, family, bullies and her panic attacks. It’s helping, even if nobody’s reading. But when she falls in love with gorgeous rock star Noah and her blog goes viral, suddenly the WHOLE WORLD IS! Psst: sneak peek inside! Read the first two chapters of Zoella’s next book! Its so addictive . When its bedtime I sneak my book and read it ! This helps people that have a lot going on in their life like anxiety and I loved finding more about Penny ! I’m surprised Zoella had any time to vlog while writing this book it is so good! It is about a teenager called Penny and her next door neighbour, Eliot. Her mum is a wedding organizer and she gets asked to help organize a downton abbey themed wedding in New York City! Penny, her parents, her brother Tom and Eliot get on a plane to the USA because they had a wedding to sort! While they are there, Penny meets a 16 year old boy named Noah who Penny falls in love with, but Noah is hiding a dark secret, a secret that may ruin Penny’s blogging life! OMG!!!!!!!!!!!!!!!!!!!!!!!!!!!!!!!!! 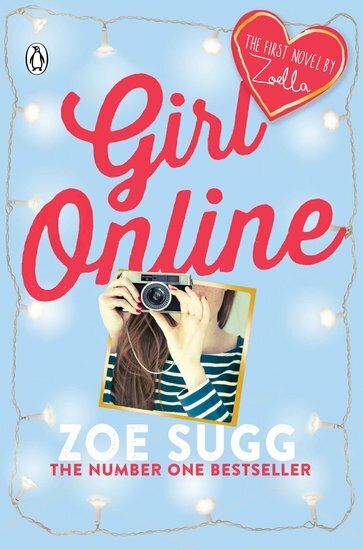 What an amazing book Zoella’s first book was such a huge success just about everyone in my school has read it (and I mean everyone because I go to an all girls school :-D.) Noah seems so sweet and caring, and Penny aka Girl Online is such a klutz (but a good one!) and understanding person they’re perfect for each other!!! PS. Penny’s hair sounds awesome!! !